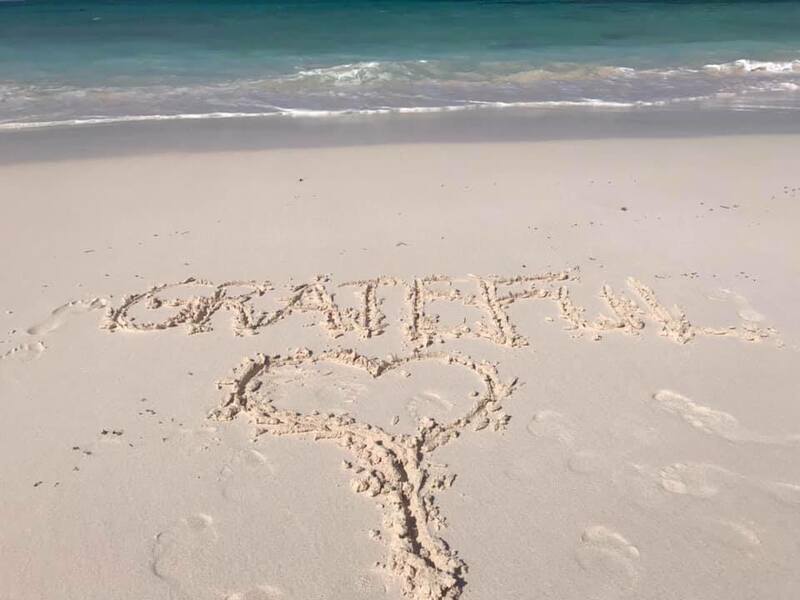 Recently I was able to experience a 'real vacation' on a gorgeous island in the Bahamas... no work, no worries; a serious unplug & reboot experience. Day one of eight days, I was surprised it was a such a struggle for me to settle into the rhythm of island life. Looking back I think I had technology withdrawal. Instead of feeling calmed by the wind, water, and sand, I was challenged by my own monkey mind. Don't get me wrong, I jumped right in the water and embraced 'vacation' full force but it was not easy to let go & flow. Day two I woke up feeling out of sorts, not knowing where I was and what do do next. So, I did what is comforting to me in the am...I made coffee and grabbed a book (it's a title I have picked up countless times and could never quite get into.) I knew I needed to read this particular book for some reason, so in the process of packing I took ONLY that one book which is highly unusual for me; I generally bring a mini-collection. Cracking open the book, I felt like I was cracking open my heart for the first time in a while. Why? I carved out sacred me time to read, reflect, journal & practice self-care, which has been pretty non-existent in my world as of late. As I began to dig in, the jewels of the text immediately began to present themselves as questions, challenges, & simple reminders that I needed to hear. The lessons: Be the gatekeeper of all thoughts. Speak intentionally. Give generously. Enrich the inner & outer self. Fix life, business & the world by fixing YOURSELF. Touche! So, what did I do as a result with my unsettled beingness?? I hauled myself & my friend Jen's meditation pillow down to the Carribean & sat in meditation. Full on seated pose, hands in chin mudra, prayer beads, mantra & timer with my journal at the ready. I pulled out all the stops and I sat. I closed my eyes, turned inside, and instantly softened; my breath welcomed me back home. 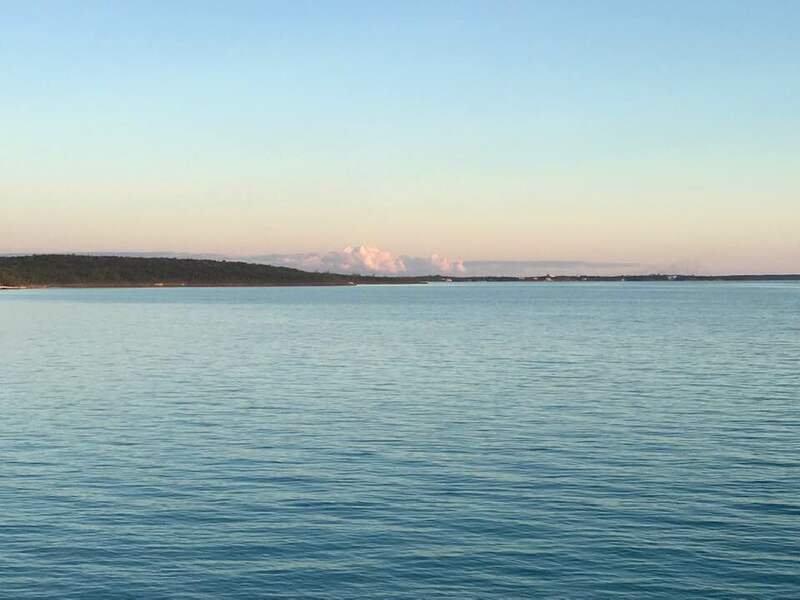 The outer waves of the ocean lapping helped calm the tumultuous surface of my mind, allowing me to go deeper into myself, connecting to divine presence. I thought it was going to be a mental struggle like it often is after I get away from my daily meditation practice, but I was met with a sweet surprise of calm, grounding, and beauty. Ahhh... time slowed down. I was in the present moment without stress, worry, or thinking about what to do next. I was in a state of simply being. Though I am no longer on the island, the vibe has gone with me. 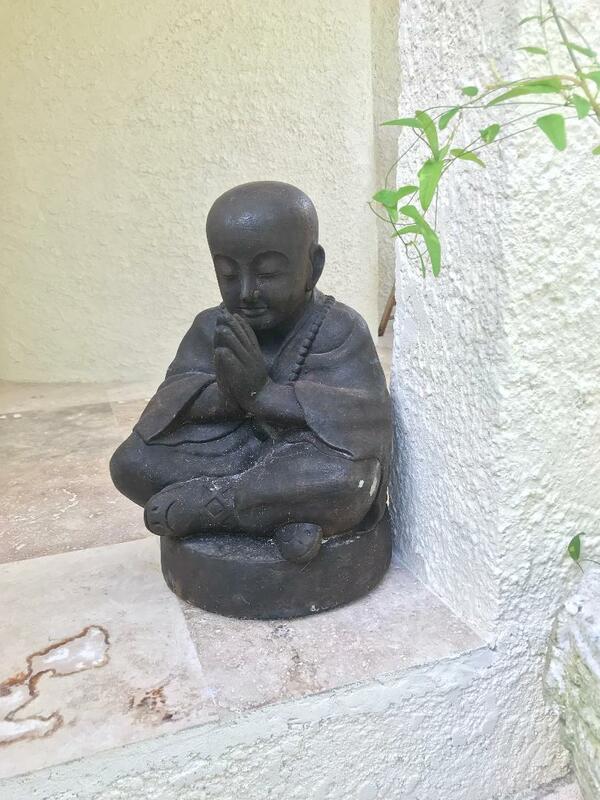 I remind myself anew each day to start intentionally, breathe deeply, pause in a mindful seat to set the platform of my day & reset my mindset & heart space. I make time to meditate again. 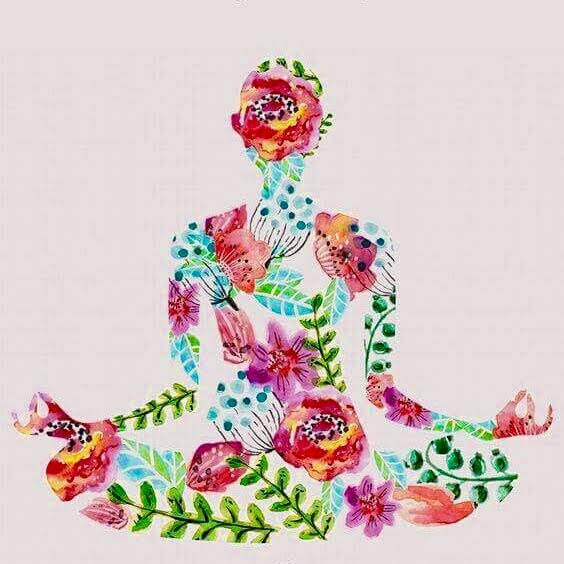 Over and over again I must relearn that it isn't that I don't have time to meditate; it's that I don't experience real time until I meditate. What is the prescription for meditation you may ask? This one always makes me laugh because it's so true... "You should sit in meditation for twenty minutes a day, unless you are too busy — then you should sit for an hour." So now I invite you to close your eyes, take a deep breath in and out, fill your heart with gratitude, and experience the miracle that is your human & divine self. How does that feel? It is my hope that you continually feel better because the world needs us all on our "A-game" to do good in a world that has such great need. Who: YOU and all your people! 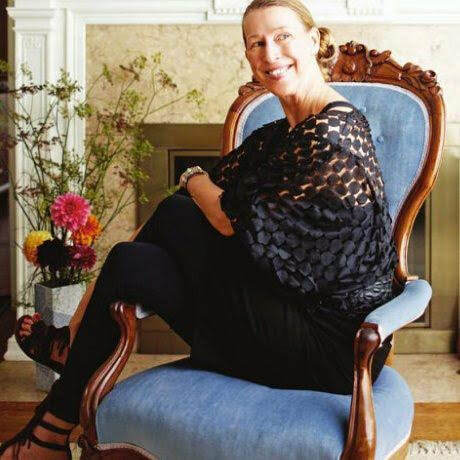 What: Guest teacher Holly Haveman. 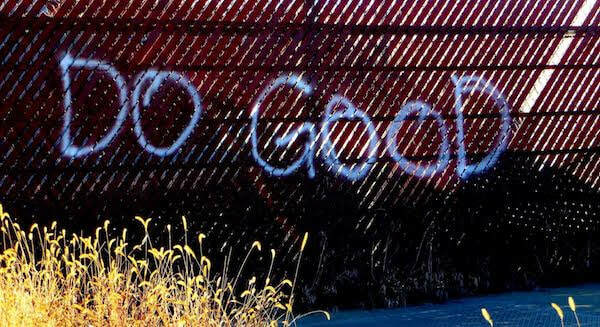 Why: To feel better do good! 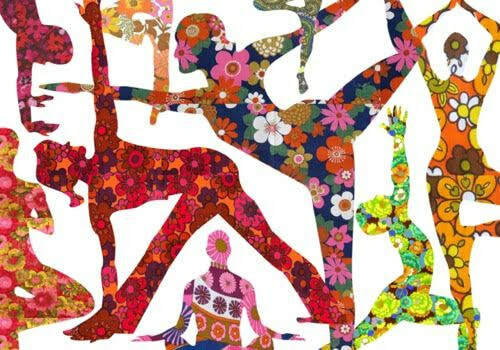 Why: Dig deep with yoga & meditation! We made it. Spring is tomorrow & the full moon! Are you as ecstatic as I am? For me, the adage we don't know how strong we are until we are forced to be strong rings so true the last 4 months. It was challenging during the long, dark, cold, icy, and many a powerless days in West Michigan (literally and metaphorically) to remain positive and hopeful when all I wanted to do was climb back under the magic of my down comforter and not face the cold & often seemingly cruel world. Somehow I and we managed to keep going. We were strong. We were resilient. We showed up day after day, even when it was hard; especially when it was hard. Through all the challenges of this winter, what lessons did you learn? How were you asked to be more and you answered the call? More resilient, powerful, giving, humble, courageous? What opportunities were given to you to grow, dig deep, and show up in your big person yoga pants? Let's not forget to remember these growth moments before we run off into the spring sunset of Lake Michigan ;) Let's be grateful for all the gifts of this dark, mysterious & almost unrelenting season brought to our lives. All our lessons & transformation give us the fuel of hope for the next season- SPRING. New life, new opportunities, new growth. What is ready to rise up within you? It is time to take off any false mask of what we believe others want us to be and become who we are meant to be- 100% authentic. It is time to reveal our heart's longing, risk ourselves, and allow our best selves to come to light. After the seed struggles in the winter's ground, the rain, warmth & sunlight help it push through to the surface to unfurl in divine timing. YOU are ready to break through the surface of your perceived limits and grow into the fullness of your unique beauty, voice, and gift to our world. It's your divine time to SHINE! 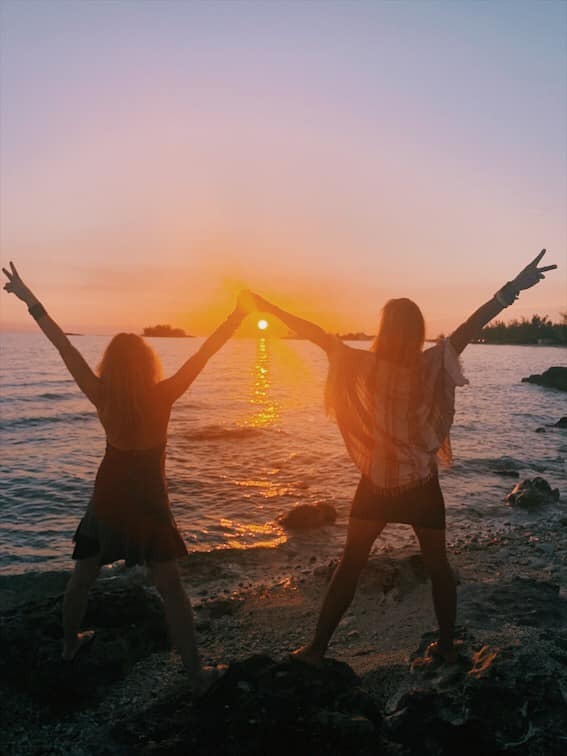 Let your community at EmbodyGR be the biggest cheerleader on your journey of life. Show up each week in our circle of care to be seen, valued and part of something larger as you enter this new season 100% alive and ready to let your life be radiant! My sunglasses are at the ready! Bring yourself, your journal, a blanket, and any full moon/spring crystals, beads, cards, or whatever you may need to make this experience of fullness & light for you tomorrow night! Tony Geren will be joining us to offer music as medicine and inspiration as we let go of winter's cloak and step toward abundant life and light. 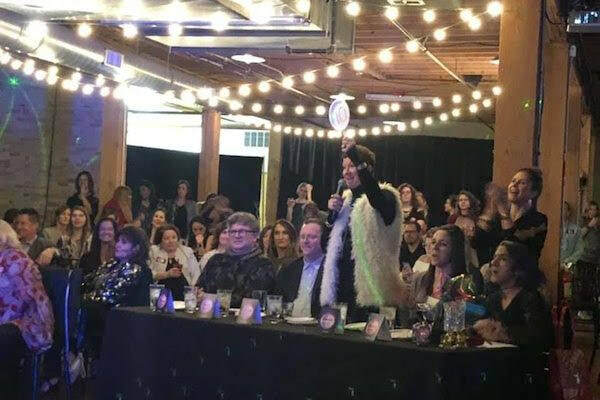 Oh and high five to our very own Adam Tijerina who was behind the microphone at Embody The Stars 2019. 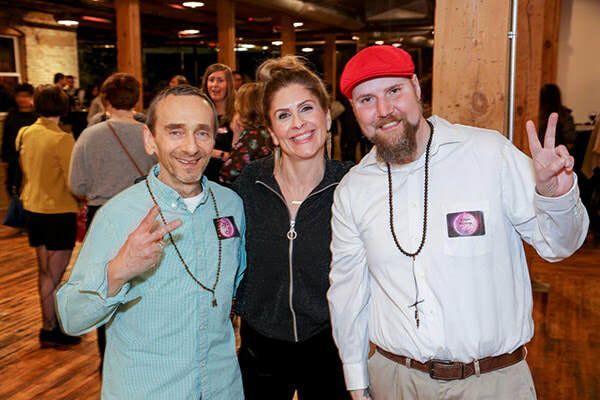 He shared his transformational journey with EmbodyGR to over 200 people at the Goei Center highlighting the positive impacts on his life, health, and happiness. Way to go Adam on showing up since the very beginning, doing the work each day, & being an example of how to live with humility, compassion, and courage. You are a rock star Adam. And deep bow to Dan Skwarek for his collaboration with Adam on the journey of giving a speech to the masses! What a team! 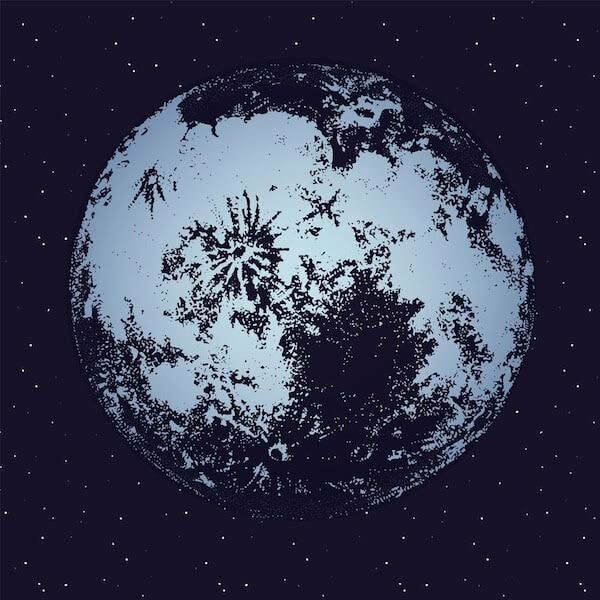 Why: To usher in spring and the full moon! Who: YOU and yo friends! 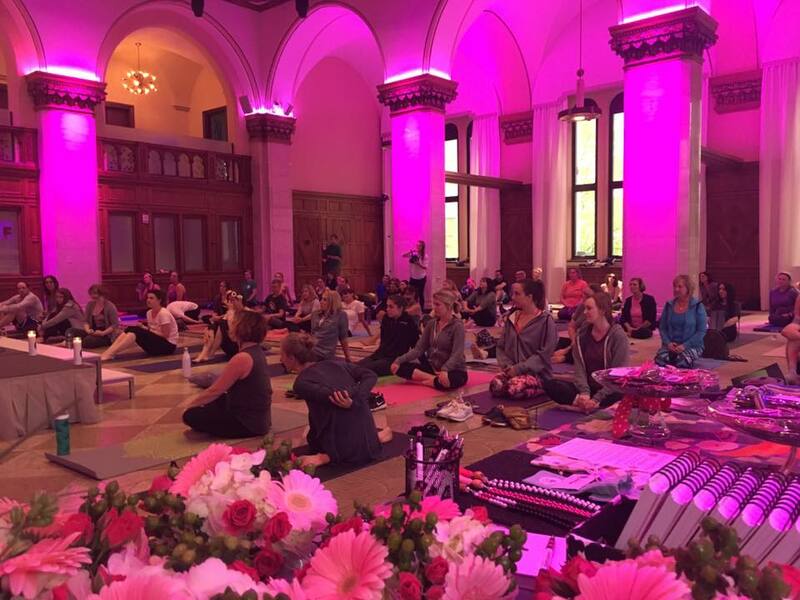 What: Yoga & meditation with Dana! Why: To take off the mask, be vulnerable, & connect. Ask: To serve your community 4+ hours/month. Who: YOU & anyone who needs a circle of care! What: Guest teacher Mimi Ray! Why: To connect in community to feel better do good. What: The JW Marriott will be hosting a pop-up volunteer project for Kids' Food Basket on Thursday, March 21 in the International Ballroom. Join us from 11:30 AM – 1:30 PM over your lunch break or from 4-6 PM hosted by the Metro Health ImpACT Board. Both shifts will have the opportunity to make and pack trail mix, repack produce for our Sack Suppers, decorate Sack Supper bags, and engage with us during Go Orange week to raise awareness that 1 in 5 children are affected by hunger. You can make a huge impact for local children in just one afternoon! Participants encouraged to wear orange. Guests may come and go as they please within the allotted volunteer time frame. DA Blodgett Mentoring Orientation- Over 100 youth waiting! What: Mentors are matched one on one with a youth in a community or school setting to provide support and encouragement, and assist in developing life skills. All matches are supported throughout the duration of their match by a Mentoring Services Specialist. FREE. Reserve your spot online. 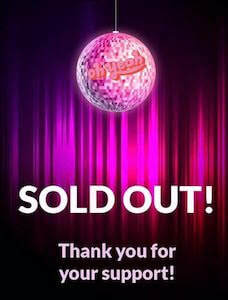 Embody The Stars 2019 was a SOLD OUT event! Over 200 people came out to support of our vision and mission. WOW! Thanks to all of you to volunteered, bought a ticket, promoted the event, secured sponsorship & auction items, and donated! Every little bit helps. 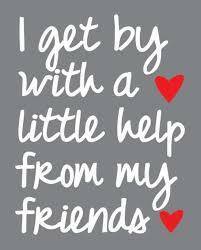 We are only able to offer our services at EmbodyGR free of charge only because people like YOU who generously give. Free to participants does not mean without financial cost. Thanks to all who help fuel and further our organization's vision and mission. ​EVENT NEWS! We have an incredible offering at our largest gathering of the week- Wednesday Nights! You won't want to miss this one of a kind event only at EmbodyGR. 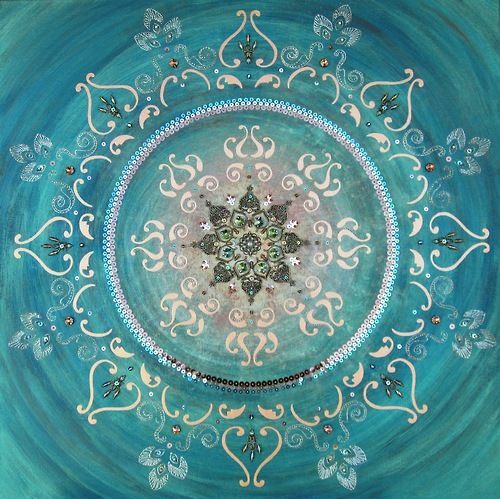 We'll be offering a breathwork ceremony with special guest; the incredible Leah Grace! I along with Micah McLaughlin, Susanne Werblow & Mike Rocque will be leading this sacred evening. This transformational experience is absolutely free of charge and open to all people 18+. You will not experience this kind of work & this super power team at ZERO charge pretty much ever or anywhere else... so be sure to bring all your people. You're welcome in advance for your soul's deep dive into self! Finally, let's come together and get our tribe mobilized in support of our homeless brothers and sisters of GR. Let's attend Mel Trotter's Meet the Mission luncheon on March 26. Also, this Thursday, March 14 there's Heartside Ministry's Open House. Both events offer an overview of the organizations; both of which are our ongoing partners in GR. We are here my friends not just to focus on ourselves, but we are also here to give ourselves away in service. The luncheon is FREE of charge, simply sign up online. Remember to honor your commitment to our "feel better DO GOOD" mission. Take action in our community today. Get involved. Show up. It's important! You are important. When: Thursday, March 14, 2019 from 3-6:00pm. Light refreshments will be served. Neighbors art will be for sale. Join us tonight at FSC for yoga with me, then put next week on your calendar! Our gathering Feb 27th is all about the P-A-R-T-Y because EmbodyGR turns 5! There will be special guests, treats, and good times, so come ready to shake it. Also, Embody the Stars is coming up fast! 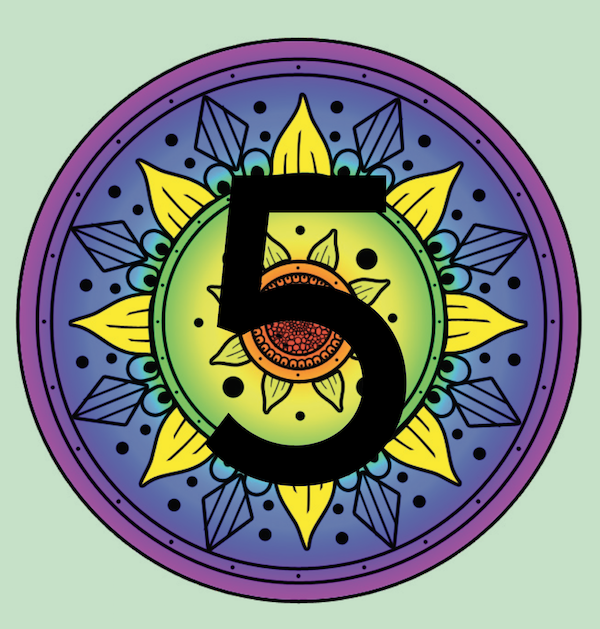 Celebrating 5 Years of Embody! 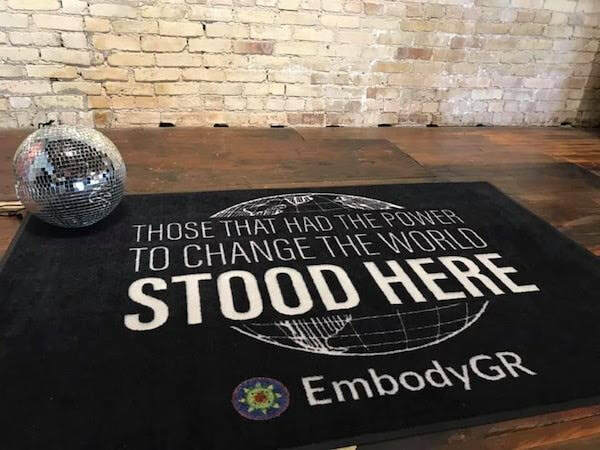 Hard to believe EmbodyGR is approaching 5 years! We could not have done it without YOU! We have helped so many people transform their lives... we are truly making an impact in our world! Be sure to mark your calendars for our celebration- Wednesday February 27, 6:30pm. Our very own Hannah Rose Graves will sing sweetness & Geoff Lamden will sound bathe us with positive vibes of love and oneness! Peri Jill & Mimi Ray will be co-teaching with me! 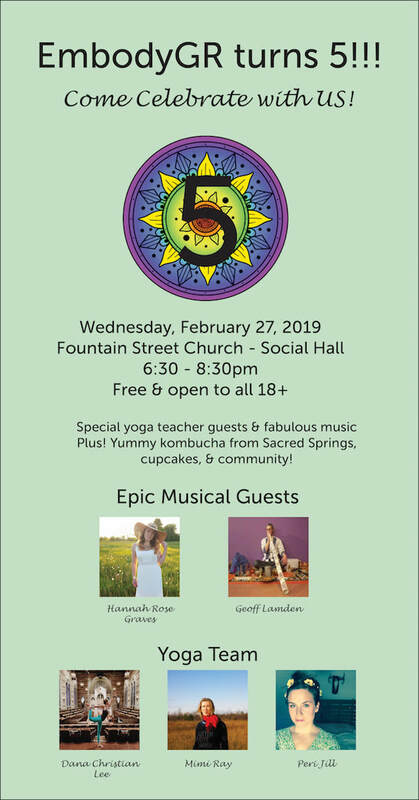 We'll end the evening with Sacred Spring kombucha, cupcakes & community celebration. This is a night you won't want to miss. Bring your friends & show up early to make sure we have mat space for you. We're expecting a full house! Thank you for being part of our community! You make the world better just by showing up & being exactly who you are! AND tonight we welcome guest teacher Stacy Calcatera! She will leave you with a huge smile on your face & spring in your step. 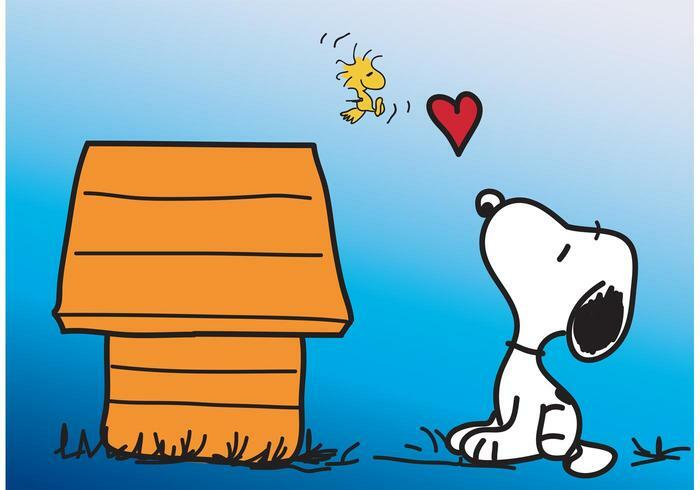 February has arrived; an entire month we can dedicate to love! Love of self, community, family, and planet. Our world definitely needs more of it and we are just the ones to bring it. 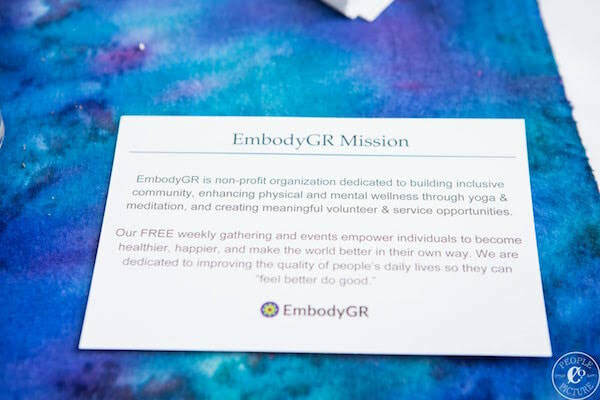 EmbodyGR is expanding our circle of care by bringing love to our brothers and sisters who struggle with homelessness right here in downtown Grand Rapids. Every Monday we will offer yoga at Mel Trotter Ministries (MTM) from 10-11:00am & Heartside Ministry 11:15-noon. Both classes will be held in their respective chapel spaces. We are so grateful to be share our "feel better do good" mission to those who otherwise would not have access to the healing tools of yoga, meditation, and service. A huge shout out to lululemon, our Here To Be Partner, for their generous donation of beautiful new yoga mats for MTM. We are so grateful! We also need to thank the Isagenix Legacy Foundation for helping us expand our reach locally to bring health & wellness educational tools to those who struggle with homelessness. Join us this week to learn more about Heartside Ministry, a local organization that helps neighbors discover their potential through arts, education and faith. Rev. 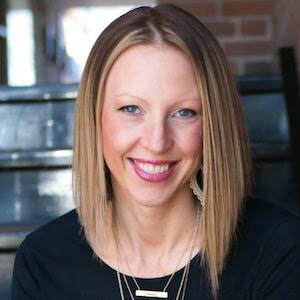 Kelly VanBrouwer, Pastoral Care and Program Director at Heartside, will join us to share about their ministry, mission and ways we can get involved. We will be making hand-crafted Valentine's Day cards this Wednesday night to share goodness with those who may be in need of some extra love. Bring any supplies if you are inspired. On Monday, February 11 @11:15am we will be distributing the cards at Heartside. You are welcome to join in our yoga practice, give someone a card, have a one-on-one connection and fulfill our 'do good' mission. I hope to see you there! Why: Share the love! Feel the love! Be the love! 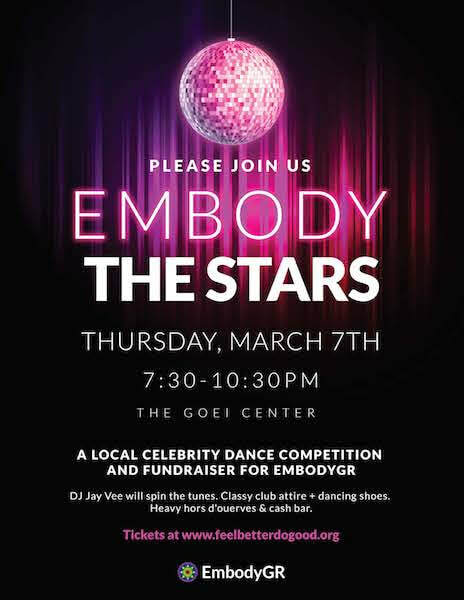 Embody The Stars is a local celebrity dance competition and fundraiser for EmbodyGR. 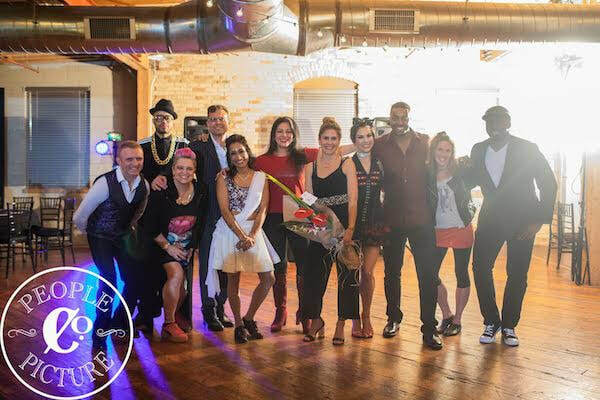 The event will feature local professional dancers partnered with Grand Rapids celebs who will choreograph and perform original dance pieces. How are the new year's resolutions working out? 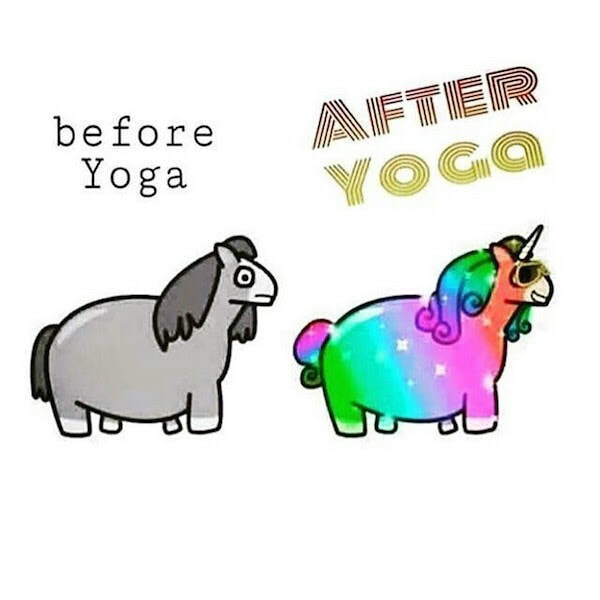 Did you say you were wanting to get back on your mat more or try yoga for the first time? Well.... now is YOUR time. Let us not put off until tomorrow what can be done today! Your best life is waiting for you to create! It takes effort, action, and showing up. Your dreams must translate from head, to heart, to action, and ultimately habit. They don't just happen magically. Can you imagine if MLK Jr. kept his dream to himself, unrealized? YOU are that powerful. 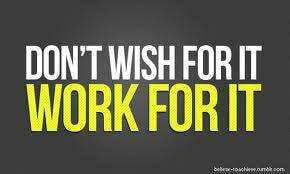 Dig deep, fulfill the dream only you have. No one is coming to live your dream for you. If you're waiting for a sign to know the time is right, see this as just that. The time is NOW and we are the ONES. EmbodyGR is here for you each and every week. Our offerings are always free, open to all over 18+, and 100% inclusive. We meet you where you are with the message that you are amazing just as you are... you don't have to change anything. I hope you can make it to EmbodyGR for the first time, come back if it's been a while, or if you're a weekly warrior, keep rocking!! Please bring some pals to share our goodness with others! Bonus- you get to practice with the incredible Melissa Thorndill who is part of our team of teachers at EmbodyGR. "If you can’t fly, then run. If you can’t run, then walk. If you can’t walk, then crawl. But whatever you do, you have to keep moving forward." 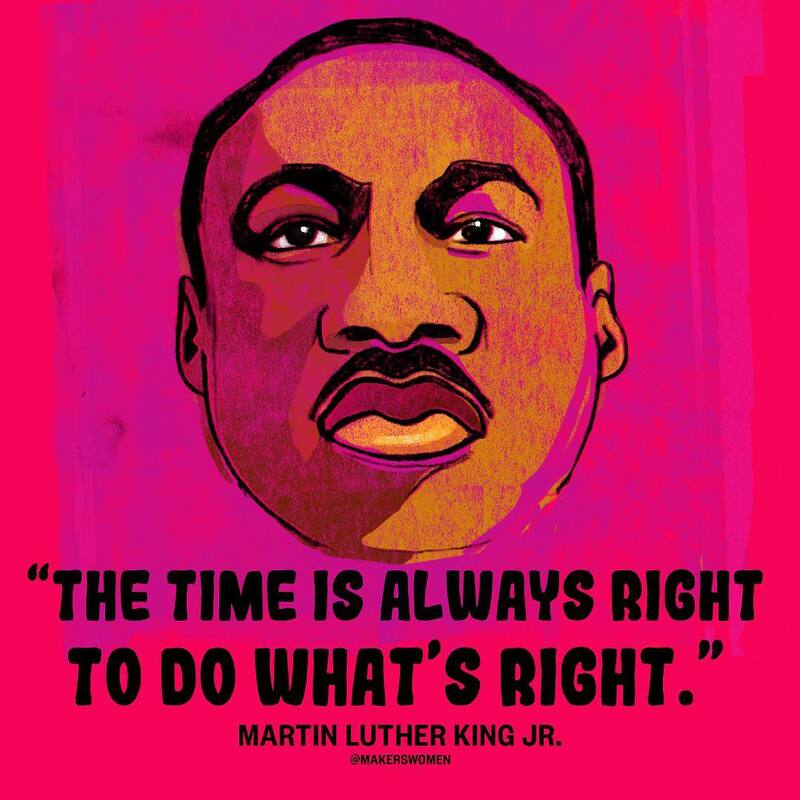 -Martin Luther King, Jr.
As we start off this new year, we at Embody are digging deep into our WHY! We strive to live our mantra "Feel Better DO Good." How you may ask- well... our organization not only offers access to the healing tools for physical and mental wellness to all people 18+; we ask our participants to give back to the GR community in service four hours each month. That is the secret formula to personal wellness & satisfaction- growth & service! You cannot have one without the other. Join us this week to find out how you can give back meaningfully to our homeless brothers, sisters & families through Mel Trotter. AND you will also receive a yoga & mindfulness practice in supportive community to help you elevate your life to the next level. It's a win, win, win- the perfect trifecta of goodness! Elevate yourself, EmbodyGR & greater GR. Not bad & it's all without financial cost. So what's your excuse not to show up? Allow yourself to be stronger than your reason why it won't work & look to the WHY of your own life to inspire you to make the time in your calendar for you & for others. 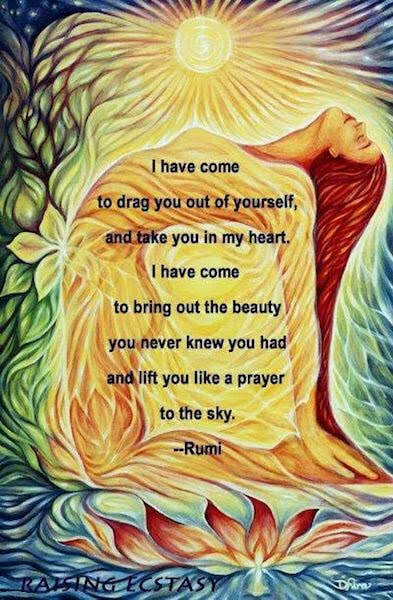 Bring a friend & your beautiful open heart. See you on the mat. Why: To learn more about homelessness in GR & how we can give back meaningfully. Happy 2019! Welcome to a new year, new page of the book of your life and that of EmbodyGR! We are going to kick it off with guest teacher, our beloved, Peri Jill Phillips! Be sure to give yourself the gift (one that doesn't sit on your credit card or break the bank) of a community that supports your growth physically & mentally; a community that welcomes you just as you are. 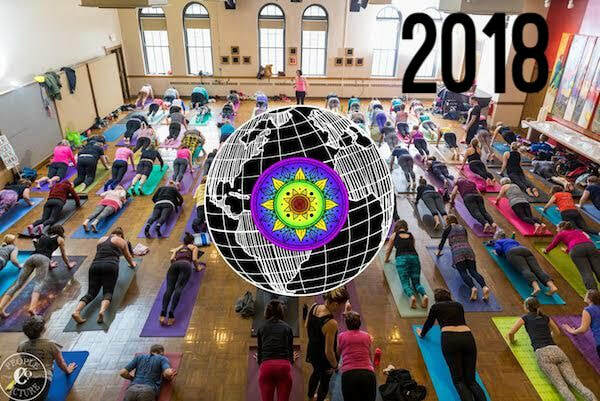 There are no barriers to attending: zero cost, mats are provided, all abilities welcome, & all vibes are positive. If you make the commitment to yourself, your practice, our community & to giving back in service every week, I guarantee you will feel a lil' better & be inspired to do good in your own way. BUT you gotta show up... you gotta commit... you gotta resolve. That is why it's called a 'resolution' and not a wish. 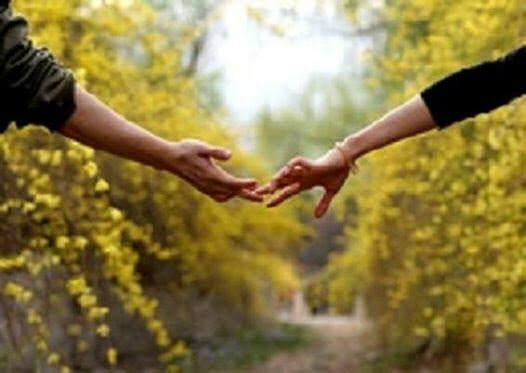 When you seek to resolve something in your life, you don't just 'hope' you actively seek a solution, decide firmly on a course of action & determine yourself to see it through. Resolve is action based and Embody is your accountability. The place to do your work in a supportive environment. So be sure to put EmbodyGR, EVERY Wednesday night, on repeat in your calendar this year & by day 365/365 of 2019 you will be amazed at the life you create! YOU are worth it! January 9, 2019Who: YOU and all your people for a holiday treat of presence and inspiration! 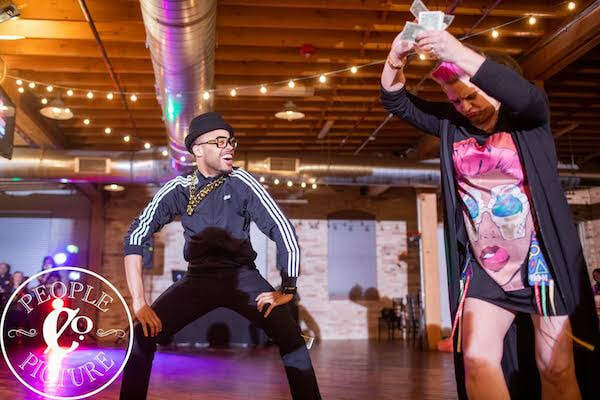 What: EmbodyGR welcomes guest teacher Peri Jill! What: Come meet Governor Whitmer and Lt. Governor Gilchrist at this FREE event with special activities and refreshments for the whole family! Bring a new or gently used book to be donated to a Michigan child in need.